The Orange County Convention Center (OCCC) is owned and operated by Orange County Government, under the direction of Orange County Mayor Jerry L. Demings and the Board of County Commissioners. The leadership team consists of Jessie Allen, Interim Executive Director; David Ingram, Acting General Manager; Yulita Osuba, Deputy Director and Terry Devitt, Acting Deputy Director. There are seven divisions within the OCCC, responsible for day-to-day operations and client services. 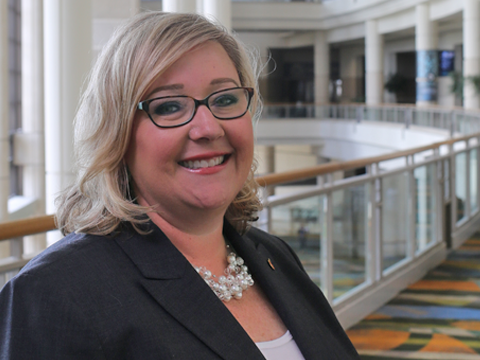 Jessie Allen was appointed by Orange County Mayor Teresa Jacobs to serve as the Interim Executive Director for the Orange County Convention Center in December 2017. Having most recently served as a consultant for the Orange County Regional History Center, Mr. Allen helped evaluate the Center’s organizational structure, revised policies and procedures. He also led the effort for the recruitment and selection of a new a manager, developed a response to the Orange County Comptroller’s audit, and sought increased funding from the Tourist Development Tax for the Regional History Center. 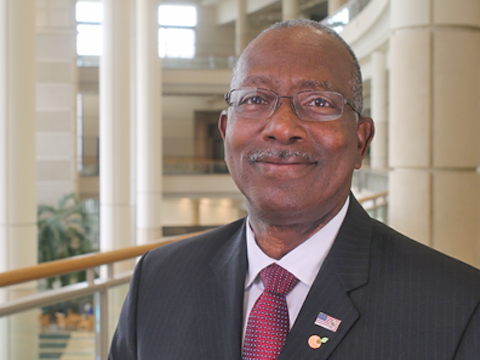 Mr. Allen’s appointment to the Orange County Convention Center is the return of a familiar face. Prior to his return this year, Jessie was the OCCC’s general manager from 1992 to 2012. Mr. David Ingram was recently appointed to the Acting General Manager position. Prior to this appointment, David was the Event Operations Division Manager. David began his career at the Orange County Convention Center (OCCC) in 2003 as an event manager. He has also held the position of Event Set-up Supervisor where he supervised a staff of 80 employees to ensure that client’s needs were met and exceeded. David will oversee the Event Operations Division at the OCCC. 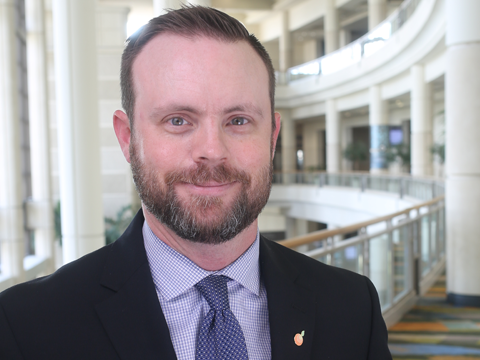 Prior to joining the OCCC, David worked for the Walt Disney World Company at the Disney Institute and also at the Gaylord Palms Resort as a conference coordinator. David is a graduate of the University of South Florida and holds a bachelors degree of fine arts and cinematography. Yulita has over 30 years in the hospitality industry and been in management at the Orange County Convention Center (OCCC) for more than sixteen years. 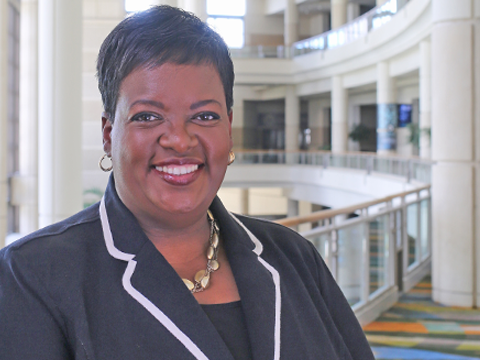 She is a natural leader and seasoned professional in the industry, having served in senior sales management positions at the Daytona Beach Convention Center and the Tampa Convention Center. Yulita oversees the following divisions within the OCCC: Sales, Marketing, Event Management & Exhibitor Services, information technology and Security. Prior to joining the Orange County Convention Center, Yulita was the Director of Sales & Marketing at the Tampa Convention Center. In this role, she managed the sales team, supervised the event services team, and implemented marketing plans that targeted short- and long-term business. Yulita is a Certified Meeting Professional and Certified Hospitality Sales Executive. She holds a Bachelor of Science degree in Business Administration. 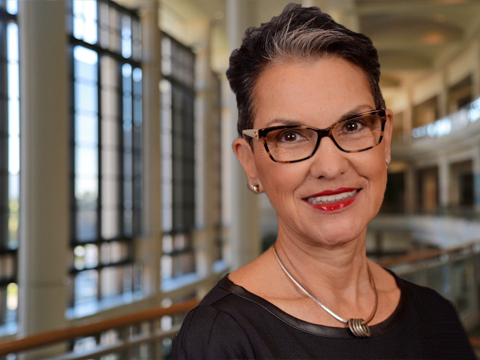 She is a board member of the International Association for Exhibitions and Events (IAEE), the American Society of Association Executives (ASAE) and the Professional Convention Management Association (PCMA). She served as President for the Convention Sales Professionals International (CSPI) and served on the board for The International Center for Exhibitor and Event Marketing (ICEEM). Terry began his career with the Orange County Convention Center (OCCC) in 1997 in the Event Utilities section, where he did installation of temporary electrical event power and leading a crew of 10. 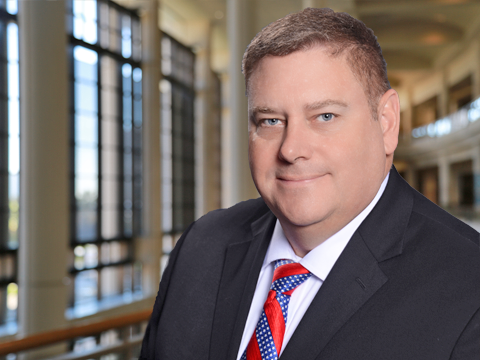 As the recently appointed Acting Deputy Director, Terry manages the operations, as well assists in the strategic planning and development of the OCCC. In 1998, Terry was promoted to an assistant event coordinator, working with clients to secure details for their upcoming events. In 1999, he became an event coordinator where he was responsible for the coordination of the most complex, technically demanding events held at the OCCC. In 2006, he was promoted to Supervisor of Event Set up, where he managed more than 70 full time and on call staff to facilitate client needs prior to, and during events to ensure that client inventory expectations and service levels were met. Terry was then named director of event management and exhibitor services in 2007 and provided leadership to the event managers and exhibit service teams. He was appointed as the Manager of Facility Operation for the entire OCCC complex in 2012. Terry is a graduate of Florida State University and has also received a certificate from IAAM Venue Management School and he also holds a Certified meeting Professional (CMP) Designation. Ray is joining the Convention Center after spending 14 years in Orange County’s Office of Management and Budget where he most recently served as the Assistant Manager, helping to coordinate the development of the county’s more than $4 billion annual budget and leading various special projects. Prior to that, he worked in Orange County Fire Rescue’s Fiscal & Operational Support division where he got his start with the county as an intern while completing his bachelor’s degree in Finance from UCF. Ray is a proud Knight who also earned his MBA at UCF. Carla Bell Johnson, a native Central Floridian, is the Center’s Acting Assistant Director. Prior to assuming this role, she was the Director of Strategic Planning and Development for the Orange County Convention Center. In that capacity, she was responsible for developing and advancing strategic objectives for the Convention Center, including advocating for supportive development and infrastructure within the surrounding destination, overseeing Convention Center transportation, parking operations, market research, and business/stakeholder engagement. Ms. Johnson also manages the International Drive Community Redevelopment Area (CRA) – an economic development tool for implementing public infrastructure improvements that catalyze private investment within the International Drive Resort Area. She holds a Bachelor of Science Degree in Civil Engineering and Operations Research from Princeton University. 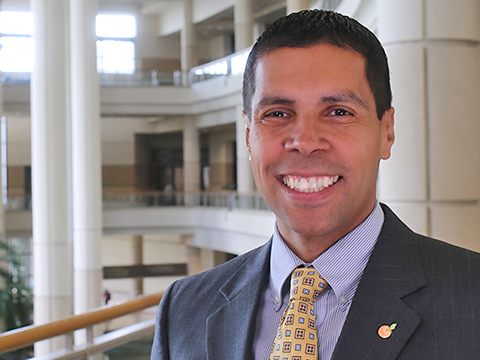 Rodney Gutierrez began his career with the Orange County Convention Center in 2011 as a Senior Sales Manager handling the Northeast and West Coast Markets. 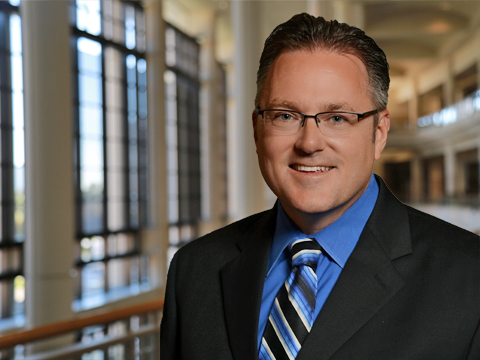 In 2012, Rodney was promoted to oversee the OCCC sales team to offer and advise new and existing convention clients on all aspects of Orlando's convention offerings. Gutierrez has more than 20 years of hospitality and sales experience. Before coming to the OCCC, he was a meetings and events manager for BCD Travel handling the Darden Restaurant account in Orlando, FL. Prior to BCD Travel; Gutierrez worked for Tupperware as a corporate meeting planner and the Orlando Convention & Visitors Bureau as a senior account executive. Rodney is a graduate from the University of Central Florida and holds a Certified Meeting Professional (CMP) Designation. He is an active member of Meeting Professionals International on a local and national level. Marc Cannata joined the Orange County Convention Center in 2015, serving as the Capital Planning & Building Systems Manager since his hire. In his current capacity, Marc is responsible for overseeing capital improvement projects and building services. Prior to coming to the OCCC, Marc was the vice president and chief financial officer of Reiss Engineering, Inc. in Winter Springs. He served in that capacity for 15 years. Other career highlights include time as an environmental engineer at Parsons Engineering Science in Winter Park and serving as a graduate research assistant at the University of Central Florida. 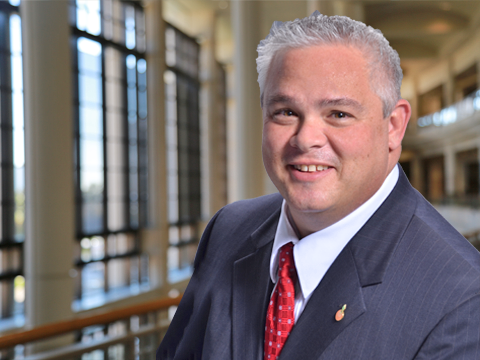 A three-time graduate of the University of Central Florida, Marc holds degrees in Bachelors of Science, Environmental Engineering; a Master of Science, Environmental Engineering; and a Masters of Business Administration Executive MBA. 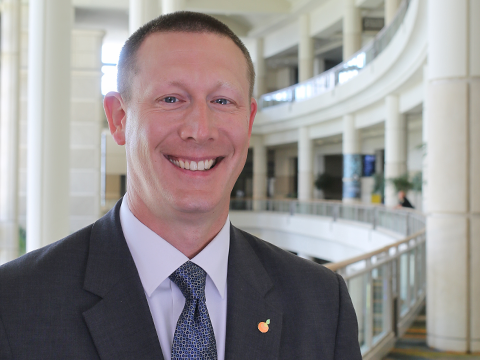 Tim Wood has served as the Orange County Convention Center’s Security Manager since 2015. In that capacity, Tim oversees all aspects of guard force operations, physical security such as electronic access control and CCTV, as well as transportation services. Tim’s staff are responsible for maintaining the daily safety of the country’s second-largest convention center, including its staff and guests. Prior to coming to the OCCC, Tim was the Director of Security at Full Sail University for six years. He was hired by Full Sail to develop an overarching, comprehensive security program for the university that is comprised of over 18,000 students and 2,500 staff, faculty and employees. He managed a staff of 30 security professionals and four contract law enforcement officers. Career highlights also include an ongoing career with the Orange County Sheriff’s Office, which started in 1990. Currently, Tim serves as a Captain in the Reserve Unit, but has previously been a sergeant in various fields including, but not limited to, Homeland Security, Crime Prevention, Training and Staff Inspections. A 25-year veteran of the United States Marine Corp, Tim received numerous awards and commendations throughout his military career, including a Navy Commendation Medal for developing security plan and staffing program for the naval Air Warfare Center in Orlando in the immediate aftermath of 9/11 and Defense Meritorious Service Medal for developing protective services policy. Michelle Neely was recently appointed as the Acting Event Services Manager here at the OCCC. Her daily responsibilities include managing three sections. The Event Management, Event Set Up and Exhibit Services sections have a $5M operating budget and about 130 staff members on three shifts. Every event held at the OCCC is serviced by these departments. Michelle is the liaison for all OCCC capital planning projects. Her chief responsibility is to blend client event activity for more than 200 shows annually with all active OCCC CIP projects. Michelle has worked hand in hand with the Orange County Public Works team for the past two years during the construction of the new bridge between the OCCC and the Hyatt Regency Orlando. Michelle has initiated negotiations with clients; partners and local stakeholders to manage construction impact on OCCC contracted business. Michelle also serves as back up for David Ingram, Assistant Director. Michelle began her career at the OCCC in January 2001 as an event manager. She was promoted to Senior Event Manager, Senior Sales Manager and in 2012 she accepted the position of Supervisor of Event Management. Michelle attended Bishop Moore High School here in Orlando. She graduated from the University of Florida in 1994.